No current global health organization is willing to fund a surgical program because no major financier sees surgery as crucial to public health. Many believe that the costs of a surgical program far outweigh its benefits. However, these beliefs are validated by misconceptions, not facts. The first of these misconceptions is that surgery can only help a limited portion of the people in need of medical attention. In fact, treatable injuries that end up being fatal due to a lack of access to qualified surgical care are one of the leading causes of death among the world’s low-income population. “Surgery is [in fact] one of the key elements of primary care.”  The majority of patients affected by these injuries are the primary caretakers and providers of their households and a death or even debilitating injury could have devastating results. These are deaths that could be easily avoided through the implementation of cost-effective surgical programs. This brings me to the next misconception: surgery is too expensive. For many, it is hard to comprehend that a fall resulting in a broken limb could mean lifelong disability or even death. But in so many countries, this is a reality. 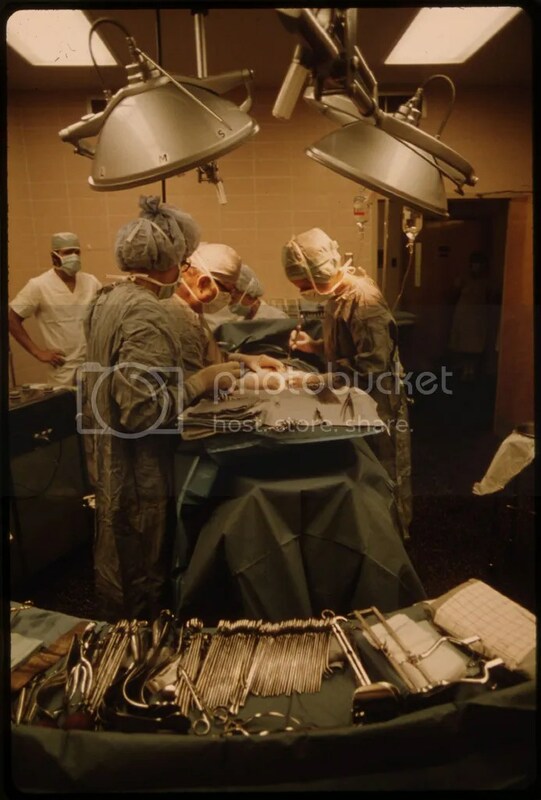 The amount of surgeons needed for any given population is estimated to be 1 for every 20,000 citizens according to the World Health Organization. For the entire country of Sierra Leone, there are only 9 practicing surgeons. With a population of roughly 6 million, the country is almost 300 surgeons short. Other African countries face similar deficits. The continent’s best medical education is in Kenya and Uganda, yet these countries still have only a small fraction of the surgeons that are needed. This severe lack of trained surgeons and proper facilities has created a situation in which general physicians are preforming complex operations. The complications that can arise from surgeries done by doctors not trained in surgery can often times cause more damage than good. Yet, these doctors have no choice. They can either let a person die from an infected appendix or childbirth complications, or they can operate and hope for the best. The only focus on surgery from public health organizations has been on short-term missions such as clef-palate surgery missions. These short-term missions consist of teams of surgeons that stay for short periods of time to do one specific procedure and then leave, taking their medical equipment and staff with them. While these are crucial in providing medical care, once the mission is over, the local population returns to the same position that it was in before the mission. There is no training of local staff to ensure that this type of medical care can continue after the volunteers leave. These short-term programs can in no way replace a long-term program that can build an effective healthcare system and train staff. The solution is instituting sustainable healthcare programs. Instead of focusing on fixing only the end problem, we must shift the focus to starting at the root of the issue. Laying the foundation for functioning health infrastructure and creating training programs to build a staff is the only way to ensure lasting effects. Unfortunately, this is not readily done. Almost half of the foreign aid budget from the State Department goes to the purchase and distribution of antiretroviral drugs while the budget for Thompson’s PAACS was only $550,000 for the year 2011. The treatment of HIV/AIDS is without a doubt essential and should continue to be funded. However, state and outside funding for public health programs should create greater room for a surgical budget and for training programs. This is not a simple or quick solution, but it can no longer be ignored. Foundations continue to make large strides in eradicating communicable diseases. It seems paradoxical that much of the world’s under-served populations are no longer dying of polio but still dying from surgically treatable injuries and diseases. The role of surgery in global public health must no longer be ignored and underfunded. Instead, it must be a primary focus of donors and organizations if we are to make further strides in advancing healthcare around the world.